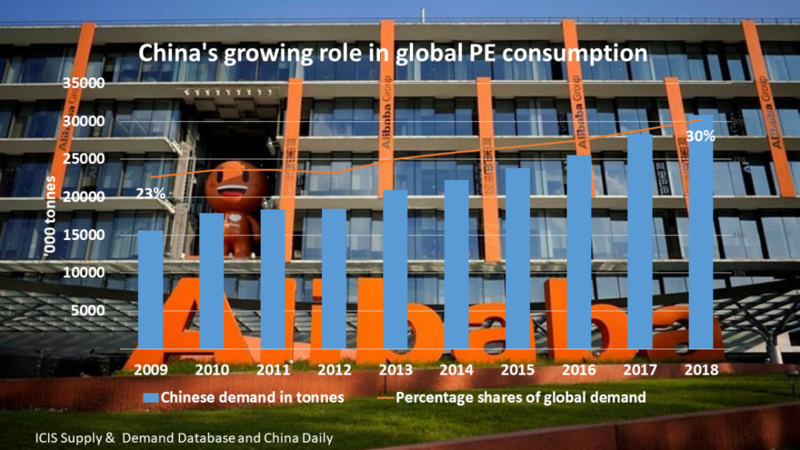 HOW much longer will China’s central government continue to kick the can down the road? 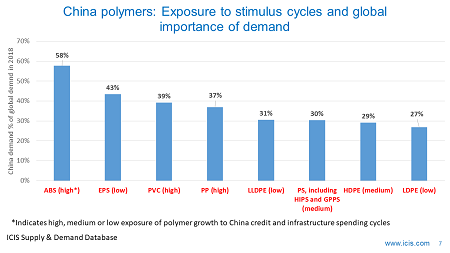 The answer to this question might well turn out to be the biggest single determinant of chemicals and polymers demand growth over the next few years. 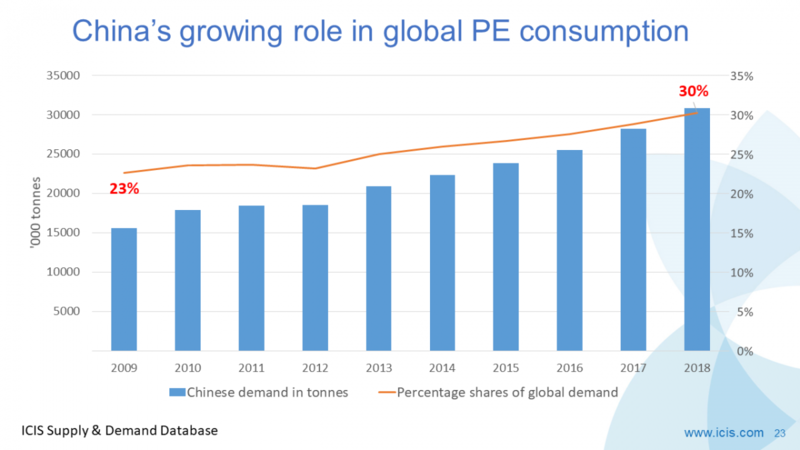 When the great rebalancing really kicks in, the wind could be taken out of the sails of apparent demand growth (imports plus domestic inventories) of polyethylene (PE) – and perhaps of other chemicals and polymers as well. The importance of asking this question became clearer yesterday when Bloomberg reported that China’s biggest banks tripled the amount of loans written off to local authorities in the first half of this year compared with the same period in 2013. Beijing is not innocent in this build-up. For years, the central strategy was to set a national annual growth target–in previous years, it was repeatedly set at 8% or higher–and make it clear to provincial and municipal authorities that they were expected to meet that. For local officials the solution was simple: procure (or seize) land and then borrow money to develop it, often with little regard for how much future demand there would be for the new houses and office building. These entities created what Kynikos Associates hedge fund manager Jim Chanos calls the “treadmill to hell.” At some point, they had to get off. And when they did, they’d be left with an unsustainable debt. That moment is looking more and more as if it has arrived. No wonder the government is preparing both the lenders and borrowers for the pain to come. According to people familiar with new policy changes, who spoke to The Wall Street Journal, one possible fix lies in an amendment to lending rules to allow more local governments to issue short-term debt, the funds from which they would use to pay off maturing bonds. Of course, this simply pushes the challenge out a few more months or years. Presumably, the hope is that by then growth will have recovered to make it easier for these governments to raise money. But that’s wishful thinking. Optimists take comfort in the notion that the national government has room to manoeuvre. After all, the International Monetary Fund is projecting a gross debt-to-GDP ratio of just 21.3% for 2013. But any reasonable analysis of Chinese debt metrics must add debt from local governments, state-owned enterprises and government-run banks into that mix. All are arguably extensions of a national government, which means their obligations are ultimately Beijing’s. The national government can absorb this debt–it’s a government with infinite taxation powers, after all–but, if the bailout gets too big, it will severely crimp its ability to spur further growth. The world’s second-biggest economy would tank. 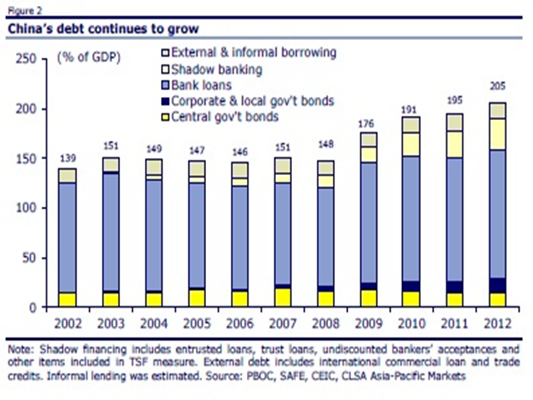 One recent estimate from Fitch Ratings provides a pretty troubling contextual backdrop: total Chinese debt stood at 198% of GDP at the end of 2012, up from 125% in 2008. Now consider the fact that annual GDP growth has since then slowed to around 7.5% and that outstanding property loans by the biggest banks were up 19% on the year as of September. If you are a chemicals trader who is long, or maybe a chemicals company executive who is soon due to retire, it would be very understandable if you answered the above question with “a bit longer please, perhaps another 6-12 months”. But, as we have been discussing for two-and-a-half years now, the longer that China takes to confront this crisis head-on, the bigger it will become. So the answer to this second question should really be “as soon as possible, starting, ideally, with next month’s November plenum”. There is not only the obvious economic dimension to all of this, as outlined so well by the WSJ above. There are also social and political issues, as again we have been warning about for the last two-and-a-half-years. 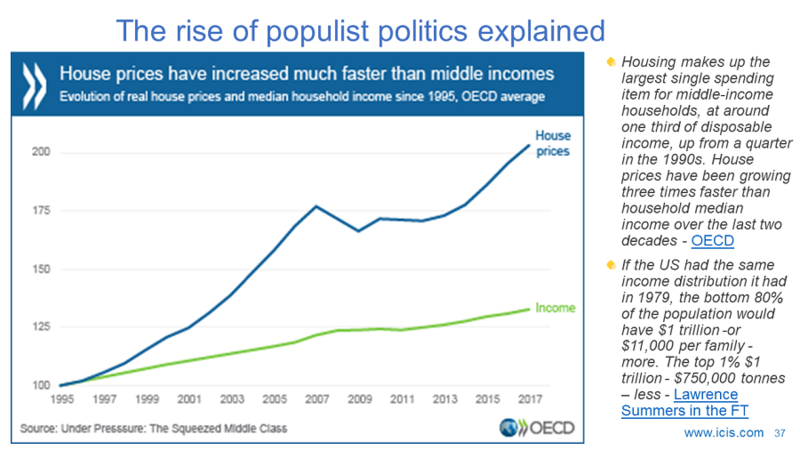 To further explain this link we first of all need to focus a bit more on economics. Local authorities are trapped in an economic downward spiral. As the WSJ says, they have long been pushed to meet ambitious GDP growth targets by central government directives. 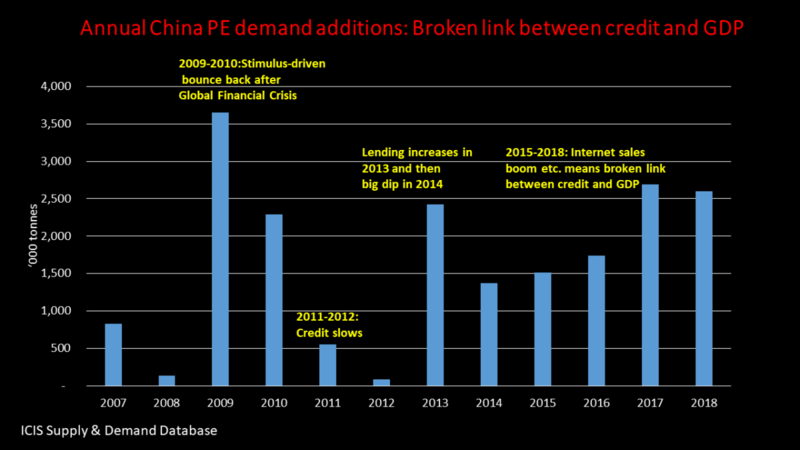 And in 2009-2010, they were compelled to build-up even more debt as Beijing went hell-for-leather to mitigate the impact of the Global Financial Crisis through a giant stimulus package. This package included lots of local debt-fuelled spending on infrastructure and new industrial capacity. Then from July of this year, stimulus spending once again picked up via the so-called “mini stimulus package”. This is also heavily weighted towards even more local spending on infrastructure and industrial capacity. Now we have hit the point of diminishing returns. New infrastructure projects are turning into “white elephants” as further bridges and roads to nowhere – and more condos that might not be occupied for many years – are built. Hence, the economic value of these projects is in decline. 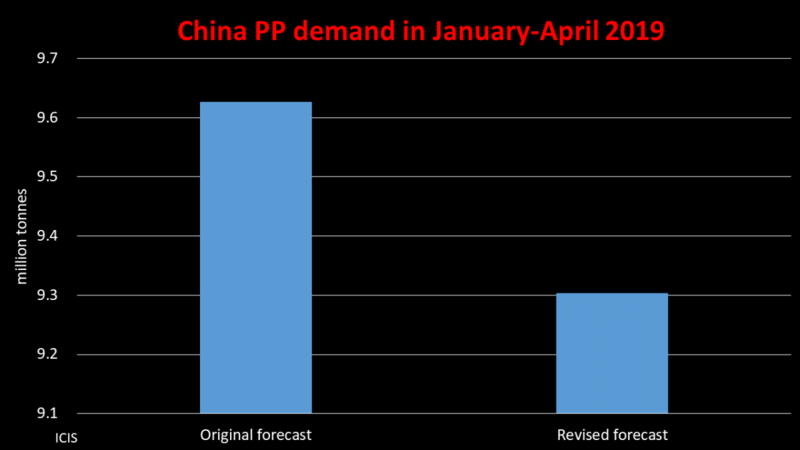 China is also heavily burdened with industrial overcapacity. 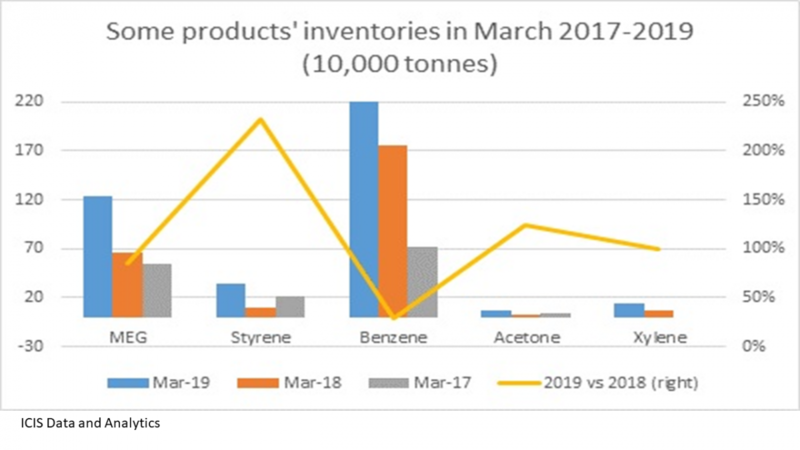 For instance, at the end of 2012, the country’s iron and steel, cement, electrolytic, aluminium and glass industries had capacity utilisations of only 72%, 73.7%, 71.9%, 73.1% and 75% respectively. 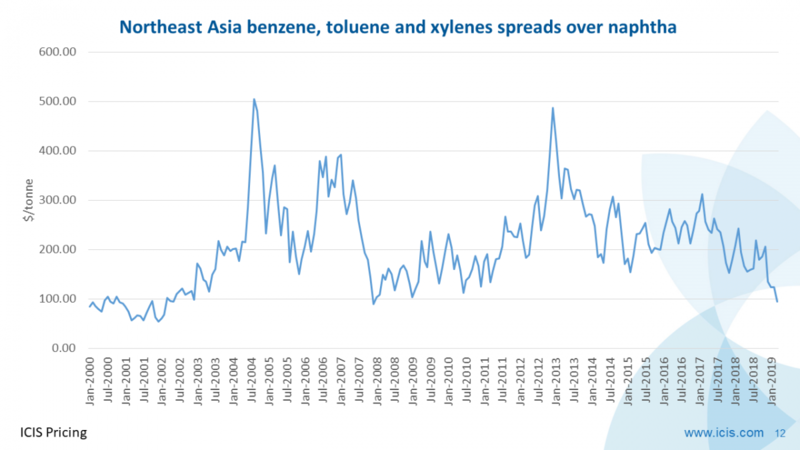 In polyvinyl chloride (PVC) operating rates remain the mid-50% range. This is hurting local authority tax revenues. These diminishing returns might head to local governments issuing more short-term debt, as the WSJ warns in the article above. But they might also continue with land grabs from rural residents, widely seen as illegal, which have caused a great deal of public anger. Hence, the vicious economic downward spiral might continue as they obtain even lower returns from land sales – and from the infrastructure and industrial developments that occupy this land. There is also, of course, the potential for more social unrest – multiplied even further if new developments come at a further cost to the environment. There are tremendous grounds for optimism –for example, consumer spending could be a lot stronger than some economists have estimated. And China’s senior politicians are determined to press ahead with reforms. These are worrying times, however, and so there is a need for multiple scenarios as to how all of this might end.